The senator says he got a ‘diploma’ in political science which is different from a degree. His name does not appear in the Oxford class lists which contain names of students awarded their degrees and qualified for honors. 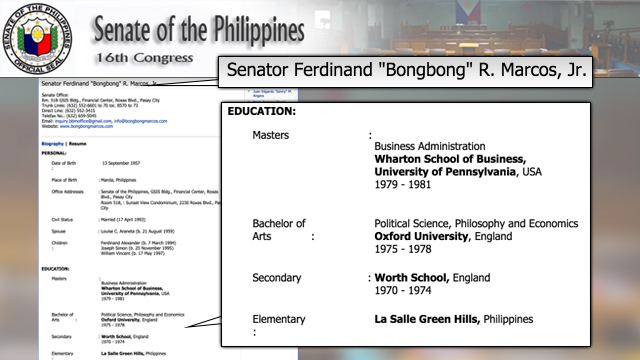 MANILA, Philippines – Senator Ferdinand “Bongbong” Marcos Jr responded to a Rappler report which questioned his schooling at the University of Oxford and the Wharton School of the University of Pennsylvania. 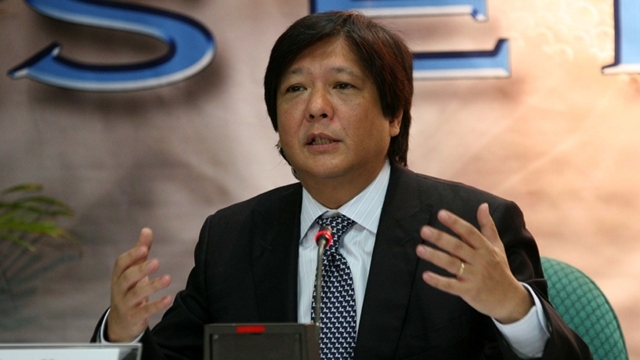 “I earned a diploma in political science at St. Edmund Hall, Oxford University in England in 1978,” said Marcos. The Rappler story said that at Oxford, Marcos Jr indeed attended St Edmund Hall, one of its colleges, starting October 1975. The university’s 1977-1978 calendar, however, which contains the names of all those sitting for their final exams in each subject, does not include him. The calendar, which is filed at the University’s Bodleian Library, is accessible to the public. One of Rappler’s sources who was in Oxford at the same time that Marcos Jr was in 1975, said it is “possible that he might have received a face-saving diploma, which is not the degree that he claims.” A diploma in political science is different from a bachelor degree. All Oxford students awarded their degrees and qualified for honors at the end of an academic year are included in the class lists of the university calendar. Marcos Jr’s name does not appear in the class lists or rolls of students who successfully completed their degrees. His resumé posted on the Senate website indicates he got a Bachelor of Arts degree from Oxford and a Masters in Business from the Wharton School of Business at the University of Pennsylvania which he attended from 1979-1981. As it turns out, he did not complete the course at Wharton and failed to get his MBA degree. That much he admitted in his statement: “I thereafter did post-graduate studies at the Wharton Business School, University of Pennsylvania, USA, taking up Masters in Business Administration. 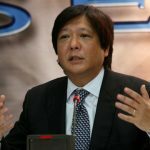 I was, however, unable to complete the course because I was elected Vice Governor of Ilocos Norte, and had to return home to serve my provincemates (1980-1983),” Marcos added. On Tuesday, Rappler ran an exclusive report that fact-checked Marcos’ educational attainment overseas. Repeated attempts were made to get his side but he declined requests to be interviewed. According to the report, Oxford University and Wharton School records do not show any Ferdinand Marcos Jr in their lists of graduates.